Robert J. David was born in New Roads, Louisiana on August 10, 1943. He graduated from St. Joseph's High School and attended LSU and SLU, earning a B.A. degree in 1966. IN 1969 he received his Juris Doctor degree from Loyola Law School, where he served on the Loyola Law Review. Representing patients and their families in medical malpractice cases is the principal focus of Robert’s practice. He has been named to Woodward/White’s "The Best Lawyers in America," for twenty consecutive years. He has since 1989 been the editor of the continuing column on "Professional Liability" for the Louisiana Bar Journal, the official publication of the Louisiana State Bar Association. He began working at the Gainsburgh, Benjamin law firm as a law clerk in 1968 and joined the firm as an associate in 1969. He is a Fellow of the American College of Trial Lawyers, a Fellow of the American Bar Endowment, a Diplomate of the American Board of Professional Liability Attorneys with Special Competence in Medical Professional Liability, and is one of a select number of lawyers from Louisiana who have qualified for Diplomate status. He is a charter member of the Louisiana Bar Foundation, and is a member of the American Bar Association, the New Orleans Bar Association, the Louisiana Association for Justice, and the American Association for Justice. Robert has served on the Adjunct faculty of the Loyola and Tulane Law Schools. He has been a guest lecturer on behalf of the American Bar Association, American Law Institute, Louisiana State Bar Association, Louisiana Association for Justice, Federal Bar Association, New Orleans Bar Association, Louisiana State Medical Society, American Board of Professional Liability Lawyers, Lafayette Parish Medical Society, Orleans Parish Medical Society, American College of Cardiologists, West Jefferson Medical Center, Louisiana State University Medical School, and Louisiana Medical Mutual Insurance Company. 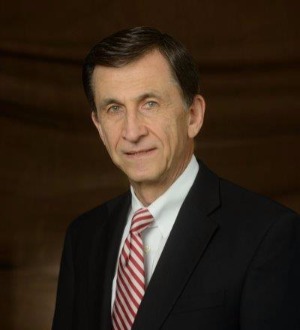 In 1989 he was appointed to the Medical/Legal Interprofessional Committee, a Joint Committee of the Louisiana State Medical Society and Louisiana State Bar Association, having served as Attorney Chairperson from 1991 - 1994. He also served on the Louisiana Disciplinary Board from 2001 - 2004 as a Hearing Committee member and then as a Committee Chairperson from 2004 - 2007, as a bar exam grader for the Committee on Bar Admissions, on the Loyola Law School Alumni Board of Directors, Loyola Law School Visiting Committee, Louisiana State Bar Association Insurance Committee, and he has served on the Board of Governors, Executive Committee and Counsel of Directors for the Louisiana Association of Justice. He currently serves as a member of the Attorney Disciplinary Committee for the United States District Court for the Eastern District of Louisiana. He was Chair of the Jurisprudence Committee of the New Orleans Bar Association and received its Outstanding Service Award in 1995. Robert served on the Ad Hoc Committee on Breast Cancer for the New Orleans Bar Association and was Chairperson of the Medical Malpractice Section of Louisiana Association for Justice. He was a member of the "Governor's Commission on Medical Professional Liability." He is listed in "Louisiana Super Lawyers," published by "Law and Politics," in the specialty of medical malpractice and was named by Super Lawyers as one of the "Top Ten Attorneys in Louisiana." He has, for many years, been listed in Who's Who in America and Who's Who in American Law. The National Trial Lawyers listed Robert in its "Top 100 Trial Lawyers." On November 19, 2009, Robert was bestowed with the New Orleans Bar Association's Arceneaux Professionalism Award and he was presented with the President's Award from the Louisiana Association for Justice. Robert was a reader/recorder for the Louisiana Blind and Handicapped. He has made guest appearances on television and radio regarding issues of medical malpractice and breast cancer. From 1995-2000 he was on Holy Cross High School's Board of Directors, and he served as President of Arden Cahill Academy’s Parent Teacher League from 1978-1979. Robert and Stella were married in January 1967, and they have two sons. Robert, Jr. is an attorney practicing in the Juneau David firm, Lafayette, Louisiana, and Richard is a representative of the Structural Heart Division of Medtronics in Little Rock, Arkansas. "Lawyer of the Year, Medical Malpractice Law, Plaintiffs", N.O., Louisiana 2014, per "Best Lawyers in America"